I am glad that this “Q & A” was posted. My question: Say I want to go the cheapest avenue…buy purchasing a pre-owned Garmin Forerunner 405, Can I simply use the Antenna that is included w/ that unit for my ANT+ dongle? 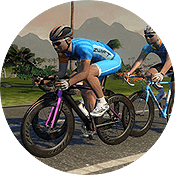 If the Forerunner includes an ANT+ USB key, yes, you can use that as your Zwift ANT+ dongle. The Garmin ANT+ keys work great. All my Zwift rides auto load to Garmin connect after I complete a session. Starting in October 2017, when I started linking my two accounts via Zwift profile, they uploaded into Garmin “untitled.” And, VO2 Max calculation was lost during the time period from October until i stopped syncing. Do you know if there is a way to update your Training Status in Garmin after importing a .fit file? 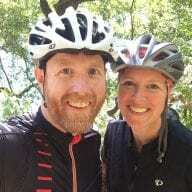 You blog helps me to upload my ride to garmin connect. Thank you so much for this impressive blog. Your blog contains content which is briefly described. Keep sharing more information with us. After digging around I found the setting that caused part of my issue, untitled rides. I’m on a mobile phone at the moment however under your Garmin profile there is a selectable field to tell Garmin what information to upload. Haven’t figured out the V02 MAX issue.